Once Clipmaker v3 has been launched, click Settings located in the upper right corner of the page. The Settings dialog box will display. This setting will automatically save your clip reels as you work every 2 minutes without having to click the Save button. Turn this off if a manual save is preferred. By default the transcript scrolls during video playback. 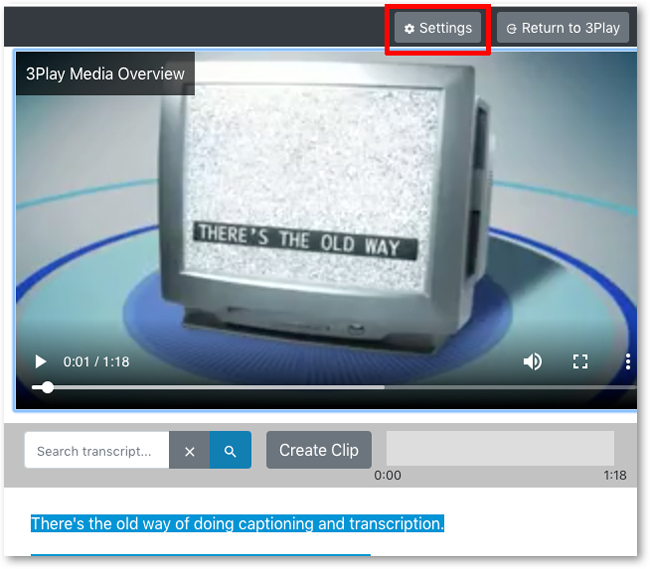 Enable this setting so the transcript does not scroll during video playback. Enable this setting to filter out paragraphs that don't contain search results. 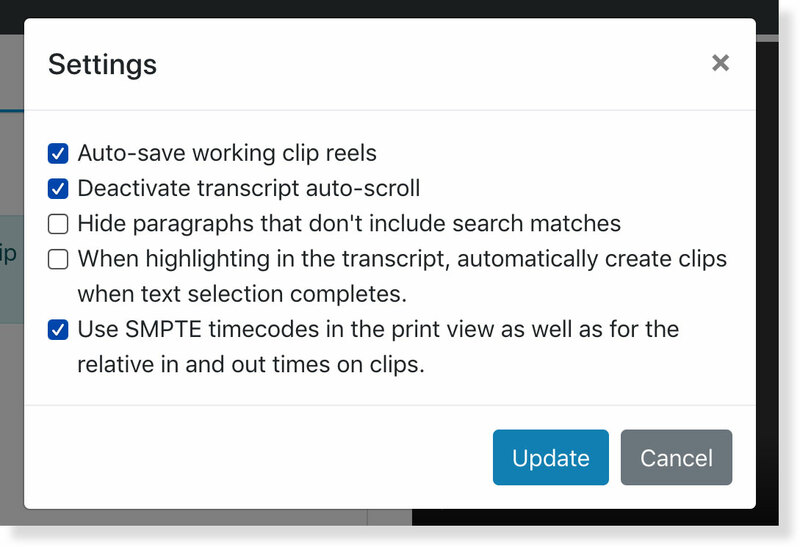 When this setting is enabled, clips are automatically added to the Working Clip Reel when text is highlighted within a transcript. When this setting is not enabled, the Create Clip button must be clicked in order to add the selected text to the Working Clip Reel. Once settings have been selected, click Update to save these changes.